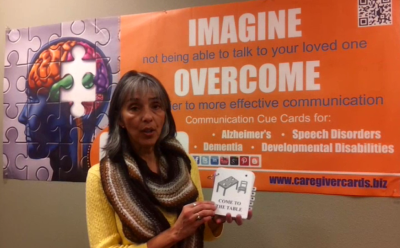 Caregiver Cards Helps Communicate with Native First Language Alzheimer’s Persons « Caregiver Cards Caregiver Cards | Activity Director Live! Caregiver Cards Helps Communicate with Native First Language Alzheimer’s Persons « Caregiver Cards Caregiver Cards. Alzheimer’s disease and other dementias gradually diminish a person’s ability to communicate. As an Alzheimer’s caregiver you are required to equip yourself with patience, understanding and good listening skills. But, what do you do when your parent, spouse, family member, resident or client starts reverting to their first language, or native tongue? As dementia progresses, it is common for bilingual people to lose the ability to communicate in the more recently acquired language. This can present as a serious problem if the person with dementia reverts to a language that is not familiar to the people who are caring for them. As a caregiver, you need more tools. One such tool, that gets overlooked are visual cues. Whether the person with Alzheimer’s or related dementia now speaks Spanish, French, Portuguese, German, Chinese, etc., we feel that Caregiver Cards, as a visual communication aid, can help on your dementia caregiving journey. Why? Because, even though Caregiver Cards short written prompts are in English, the large illustrations are universally understood and recognized. Caregiver Cards is a series of 160 illustrations printed on 75 double-sided glossy, durable and wipeable cards used for picture based communication and visual support for use by caregivers for communication, prompts, cues, orientation, and daily schedules with individuals who may have Alzheimer’s disease, dementia or related memory, speech, hearing, and developmental disorders. I, personally, have experienced this communication breakthrough while volunteering at a local memory care facility. I was sitting next to a lady, who has dementia, and she was chatting with me. The problem is, she was speaking in her native Spanish tongue. I could not understand what she was trying to say, and it was adding to more frustration for her. Since I could not communicate in her language, I started to observe her body language and look for clues that she was saying though not only her words, but her emotions. While being patient and reassuring, I observed that she kept pointing toward my head area. Quickly, I pulled out my set of Caregiver Cards, and started flipping through illustrations that dealt with the facial area (like eye glasses, makeup, etc.) At each illustration, I made sure to capture her focus on the card, particularly the picture being displayed.Finally, I came to the card displaying “hearing aids”. That was the one! This wonderful lady had observed that I was wearing hearing aids (in fact I wear two hearing aids)! She immediately smiled at me, said IN ENGLISH, “Yes, hearing aids”. She then grabbed a pencil and wrote in English the words “hearing aid”, and immediately went back to speaking Spanish. I wish I could explain in mere words the feeling that I had at connecting with her. Amazing comes to mind. For that brief moment, there was validation, acknowledgement, connection, and decreased anxiety. How many Alzheimer’s and dementia caregivers, family members, or health care professionals do you know that would love to experience these feelings? If yes, then I invite you to not just take my word for it, listen to what a family caregiver has to share about how Caregiver Cards being used as a visual supportive communication aid has helped offer better care for her bilingual mother, who has reverted to her native, first language of Portuguese. Language abnormalities are often the first signs of Alzheimer’s disease or related dementia. It can create difficulties in communication, and frustration and grief for all involved. I urge you, as carers, to not become overwhelmed. Educate yourself on expanding ways to communicate, even if Mom, Dad, your resident, whomever, no longer speaks English. 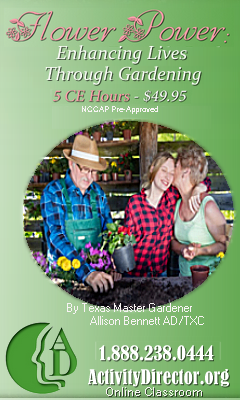 If you feel that the Caregiver Cards visual communication tool is perfect for you or your facility, please visit our store to purchase (PayPal certified), or email me with any questions I can assist with.